This blog is now closed. I'll be closing comments here, at Big A little a, as well as the [email protected] address. You can always reach me at [email protected]. Pam Norfolk reviews Maggie Stiefvater's Lament for Longridge News (U.K.): "Lament, a beautifully written and haunting story of good and evil, love and hate, the spiritual, the temporal and the power of emotions, is about as good as teen fiction gets." Susan Carpenter reviews Akata Witch, by Nnedi Okorafor, for the Los Angeles Times. ("The book is similar in theme to many other coming-of-age fantasies, but the details are distinctly African, the language unrushed and elegant. The dresses the girls wear are crafted from traditional raffia ribbon. The sounds of Fela Kuti and other Afrobeat musicians are often playing in the background of the action.") And, Matthew Finch reviews Akata Witch for The Brooklyn Rail. Looking for books for teens about London? Mary-Liz Shaw has a recommendation or two in The Milwaukee-Wisconsin Journal Sentinel. Mechele R. Dillard reviews Jennifer Laurens's Overprotected in the Atlanta Examiner. 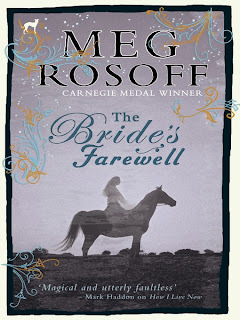 Anne Joseph profiles Meg Rosoff for The Jewish Chronicle Online in an article titled "Why Meg Rosoff's best-selling teen fiction is secretly so Jewish." And here's an ongoing discussion about teens, education, and required reading hosted by Ta-Nehisi Coates on The Atlantic's site. It's a debate that will never die, but there are many interesting comments to the post about literary analysis and high school reading. Jennifer Arrow takes on HBO's adaptation of Game of Thrones from the perspective of one who has not read the books for E!Online. Susan Dominus talks Hunger Games trilogy for The New York Times. Is it summer reading time already?!? Steven Bennett recommends some reading for middle and high school readers at MySanAntonio.com. Charlie Cooper talks teen dystopian fiction, complete with reading list, in The Independent. Robin Kirk also discusses dystopian fiction for teens at Open Salon. I'm looking for conversation (and trouble?) over at Crossover. I've missed talking books with you all. I'm hope to see some of you in Minneapolis! Kelly! Oh, my word! So happy to see Big A pop up in Bloglines. How wonderful to hear from you. Seriously, I was thinking about you recently. I'm not making that up. 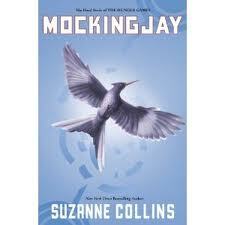 I haven't read Mockingjay, either. I couldn't get through the second book. Jennie of Biblio File is hosting this week's Poetry Friday. Head on over and leave your links! Today's Poetry Friday roundup will be held here at Big A little a. Leave your links in the comments, and I will roundup throughout the day. Today, I have a serendipitous find, a lovely villanelle about the end of summer that I stumbled upon by frivolously googling "banana pudding poem." The Write Sisters has found a video of a found poem. Kurious Kitty looks at Tea Party Today by Eileen Spinelli. I'm sharing "What Happens Next" by Alison Deming at Random Noodling. Kelly, I was waiting to hear from you about hosting this week--I volunteered a few months back. How does hosting scheduling work? I have Lucy's Picture Day, a short original about an old family pet, at Notes from New England. Hi Kelly, Thanks for hosting! I have 2 wedding/love (or not!) themed entries. Lovely to see you, my dear! I'm in today with a poem by Charles Harper Webb entitled The Animals are Leaving. Thanks for letting us hang out at your place this week! And, I can host sometime in November or December. Let me know. Thanks so much for hosting today, Kelly! Thnaks for doing the roundup, Kelly! At Wild Rose Reader, I have an original mask poem entitled "Dragonfly." At Blue Rose Girls, I have three original double dactyls. At Political Verses, I have two new poems this week. I have an original poem in the "Don't be afraid to try something new, like writing poetry" department. I have just stumbled onto the whole Poetry Friday phenom, having posted a Rilke (Autumn) that Sara (if I may be informal)posted awhile back...I blog about Brooklyn's Prospect Park and often use poetry, and now I have another reason to TGIF! Thanks for a cool idea--I hope newbies are welcome! New blog address. Tied in the seed of Rosetti's "Goblin Market" with Laini Taylor's new book Lips Touch. My Poetry Friday post is about Casey at the Bat by Ernest Thayer. This week's poem on The Stenhouse Blog is Straight Line by Georgia Heard. One of my favorite professors always told us that scientists make fabulous poets, because they observe the world so closely. I'm in today with a review of Georgia Heard and Jennifer McDonough's fabulous new professional book, A PLACE FOR WONDER. This book helps teachers to help kids become observers, scientists, and poets. Hello, my name´s Juan Carlos, I want to put text ads on your blog. You can win up to 50 euros for each blog or website. Referral commission is up to 7.5 euros per month per page or blog. Exhausted from Teen Read Week, but here's our post at readertotz for Poetry Friday: Cobbler, Cobbler. Are those not the cutest shoes for Halloween? And I have an original poem at On Point: Bathing Beauties. I've got a calm moment of hope today. This week's Poetry Friday is hosted by Laura Purdie Salas. Head on over and leave your links! I am just getting back active with blogging and wanted to stop by and say hi. I hope you are enjoying the latest season of Project Runway! Anastasia Suen is hosting this week's Poetry Friday at Picture Book of the Day. Head on over and leave your links! This week's Poetry Friday roundup and the October-December calendar will be posted at Crossover. Head on over and leave your links! This week's Poetry Friday is hosted by Susan Taylor Brown. Head on over and leave your links! This week's Poetry Friday will be held at Becky's Book Reviews. Head on over and leave your links! This week's Poetry Friday will be held at Wild Rose Reader! Head on over and leave your links. This week's Poetry Friday will be held at Crossover. Head on over and leave your links! A Happy Friday to one and all. It's that time again: Time to schedule Poetry Friday hosts! We need volunteers for September, October, and November. Available dates are listed at the end of this post--just leave a comment here or at Crossover with your preferred hosting slot. I'll update throughout the weekend. Today's Poetry Friday is up over at The Boy Reader. Hi Kelly - I'm happy to take whatever date helps you the most. Fridays are good for me this year. 3. Grandma's Picture Book reviews will be posted at Big A little a.
I'm back on both blogs, back on my e-mail account ([email protected]), and starting in on my twitter account. Thank the gods, I'm getting an iPhone next week, so hopefully I'll be able to keep up. Hope to see you all soon! any blog about poetry is a friend of mine! This week's Poetry Friday will be held at Carol's Corner. Don't miss it, and have a fabulous Friday. Ooh! Scotland? Are you seeing Tanita?? I hope to be back and soon. I'm headed to London tomorrow for a conference! I hope you all are well and I can't wait to jump back in the kidlitosphere. And maybe posting normal comments help too? Have an awesome trip! May it feed your soul. Have a great time, Kelly! Same thing happened on mine a couple weeks ago. Like a one-time thing (I hope). Kelly--I have been spammed so regularly these past few months that I finally required moderation for anything older than 7 days. It works fantastically well. I'm rejecting spam nearly every day, sometimes between 12 and 20 pieces, that would all be spread over my archives otherwise. Was happy to see some activity here and look forward to seeing more. Kelly, great to see a post! Have a great time in London. Always good to see a post from you, Kelly. Have a safe and fun trip! Have a great trip Kelly! Hope you're having a fantastic time! Have a great time in London! I was there in December and it was lovely. You'll be in time for the british spring- best time to go. We miss you. But I'm glad you're taking time for yourself. I'll still be posting here at Big A little a with Grandma book reviews, my own book reviews of non-crossover books, and with odds and ends. 1. I've transferred my blogrolls. If I'm missing someone, please let me know. I still want to keep these up. 5. I've declared my e-mail and my reader bankrupt. If I didn't reply to an important e-mail, please write again. New beginnings even if it's something we're forced to do, are usually a good thing! Welcome back Kelly! Glad to see everything is fresh and exciting! Kelly! How great to see your post in Bloglines. Welcome home. Will check out the new site. Welcome back. You've been missed. I think many of us understand the need to step away from blogging from time to time for a myriad of reasons. We're glad to see you back. I'm headed to Crossover right now! I like the way Lorie said it - welcome home! Welcome back, Kelly! So good to see you again. Jen Bryant's biography of poet William Carlos Williams for the grade-school reader is just the type of biography any poet would want. In A River of Words: The Story of William Carlos Williams, the poetry and its writing remain more important to the tale than the events of the poet's life. So, while we learn William Carlos Williams loved to spend time outdoors, wandering, as a child, we also discover what was most important about these childish excursions: "...as he walked through the high grasses and along the soft dirt paths, Willie watched everything" and "the river's music both excited and soothed Willie. Sometimes, as he listened to its perfect tune, he fell asleep." and writing a few lines. But after a while, he grew frustrated. into steady rhythms or rhymes. 'I have never seen a swan or an archer,' Willie thought. A River of Words is a biography of a poet--of how a young person becomes, lives, and works as a poet. Indeed, William Carlos William's career as a doctor plays second fiddle to practical, yet lyrical, descriptions of how he managed to write poetry in the evenings after work. Melissa Sweet's illustrations are warm and make much use of Williams's poems and other textual elements (notepads, drafts, textbooks). A River of Words: The Story of William Carlos Williams is a first-class biography, and one to use in the classroom to learn not only about Williams, or more about poetry, but also to learn more about biography and how different biographical approaches can approach a life in radically different ways. Don't miss Jama Rattigan's interview will illustrator Melissa Sweet at Alphabet Soup. Susan Taylor Brown has the roundup at Susan Writes. So glad you're back, Kelly! 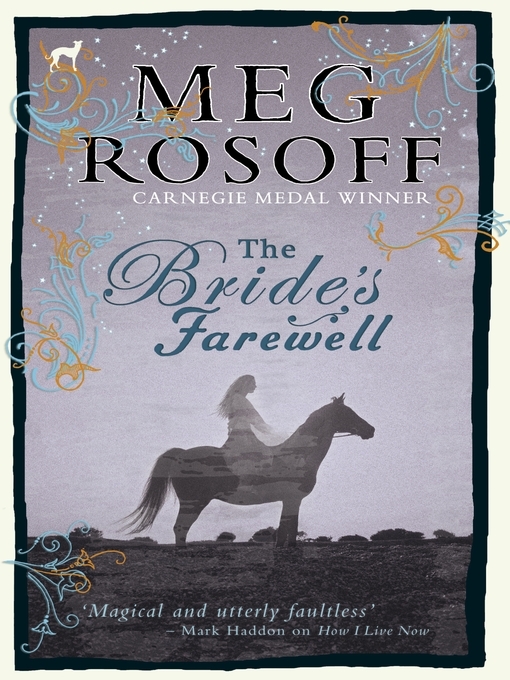 I adore this book, and thoroughly enjoyed interviewing Melissa recently :). It's so great to have you back, Kelly! This sounds like a marvelous book! I'm adding it to my list. I lovelovelove this book! From the minute I saw it, I was hoping it would win the Caldecott. I, too, have an interview with Melissa Sweet at A Year of Reading. What a nice person she is -- everything her name says! So glad you're back! And thanks for this book recommendation -- I hadn't seen this one. Have you read Hate that Cat by Sharon Creech? It's just a wonderful YA book about a boy learning poetry through the model of Carlos Williams. I found it delightful - and loved the boy's strong voice as well as his poetry. So strange, I JUST posted a Williams poem for Poetry Friday and then I see this. I still haven't seen this book. Sigh. Want to. So badly. I think I'm waiting on a library copy. First and foremost: An enormous thanks goes out to Mary Lee of A Year of Reading who helped me during my great blog crisis of 2008-2009. She organized hosts and kept Poetry Friday going when I was unable to keep track of things. Thank you, Mary Lee! Thank you all for hosting, and I can't wait to join in the fun again. I am glad I could help! But most of all, Poetry Friday wants to say, "It's good to be home again!!!" Glad you're back, Kelly. And yay to Mary Lee for stepping up to help. I appreciate everything you both do for Poetry Friday! I really want to host a PF one day. Will you let me know if you ever need someone last-minute, or if you can line me up after 8/28? Yeesh, 7-Imp has never hosted, which is kind of pathetic. This week's Poetry Friday will be hosted by Brian Jun at Critique de Mr. Chompchomp. Enjoy!